(The Christian Institute) — A hospital in Ontario, Canada, is being criticized for advertising euthanasia in its urgent care waiting room. 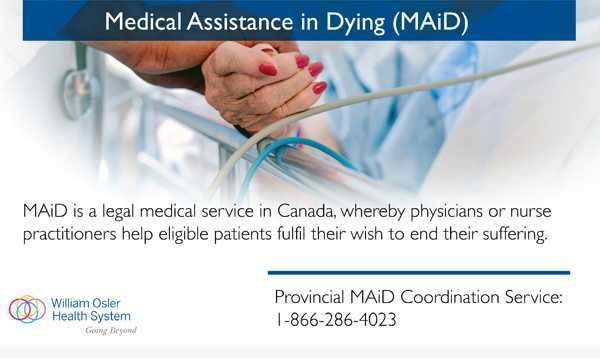 Advertisements for Medical Aid in Dying (MAiD) appear on a large television screen in the William Osler Health System hospital. The same [static] advert is found on the health system website. Wesley Smith of the Discovery Institute pointed out that people in hospital waiting rooms are vulnerable to such advertisements, and may be afraid, in pain or depressed.